Designed as a stock replacement for the 1986-95 Mustang 5.0L, this cast aluminum EFI intake manifold sets the standard. Its modular design applies the latest airflow and CAD technology for maximum power gains up to 37 horsepower at 5500 RPM without losing low speed torque. Sold complete and as top or base only. Ideal for street and strip applications for the 1986-95 Mustang 5.0L. This intake manifold consists of a V-shaped crossover with an enlarged cross-sectional area that passes over to eight tapered runners, resulting in significant gains over existing designs in the 1500-6500 rpm range Sold complete. Intended for 5.0L-based competition EFI engines and other modified 400 to 540+ HP engines, this aluminum EFI intake manifold is for non-emission racing applications and features shorter (11.5") and larger (50% more area) runners for power to 7500+ RPM. The air-gap base isolates manifold from hot oil and accepts stock or stock replacement fuel rails. Upper manifold clears tall valve covers and large fuel pressure regulators. Sold complete or base only. JEGS Easy Kits are designed by JEGS professionals to assist your shopping experience. The Performer 5.0 Kit includes intake manifold #350-3821, throttle body, EGR plate, and camshaft. Does Edelbrock 7231 fit your vehicle? 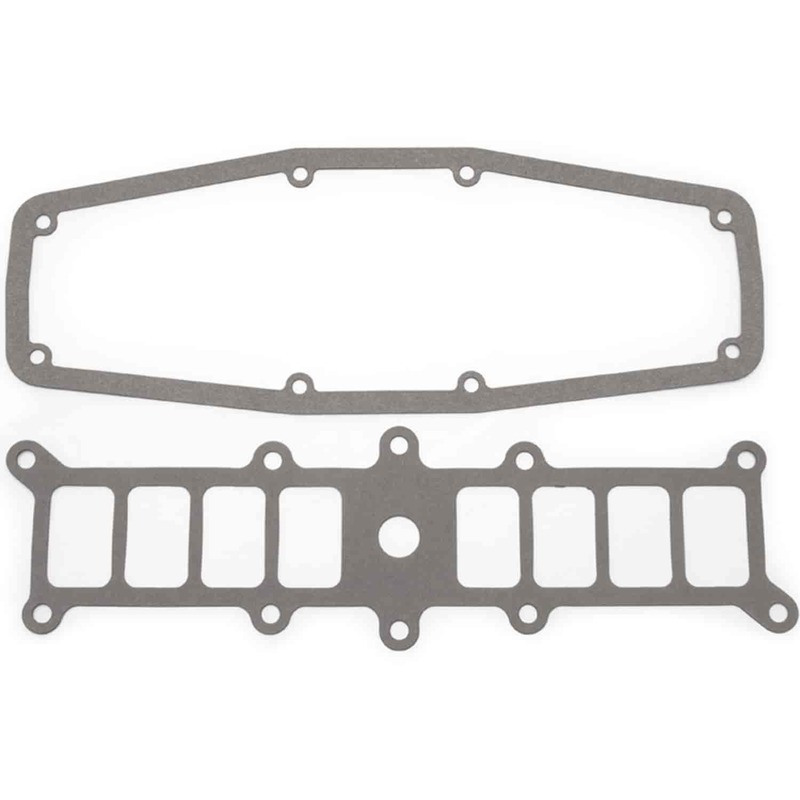 Will this gasket for the upper to lower intake also fot the edelbrock rpm ii intake?